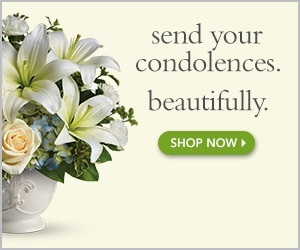 Ro Berta Troutman – Peterson Mortuary, Inc.
Ro Berta was born in Lingle, Wyoming to Ray and Clara Hershey. They moved to Nebraska shortly after her birth where she was raised. Growing up, Ro Berta’s mother wanted her to take piano lessons; unfortunately, they could not afford them. Therefore, her mother baked cakes and pies in lieu of cash to pay for the lessons. Her mother’s diligent efforts paid off because after high school, she attended Doane College in Crete, NE majoring in Liberal Arts. She was very musically inclined playing the drums (in the Doane College band) violin, piano and organ and served as an organist/pianist at two different churches. During World War II she took a summer job with the American Red Cross located on the Army Air Force Base in Grand Island, NE. It was there that she met and married her husband, Sgt. Richard Troutman in 1944. To this union they were blessed with three daughters–Sharon, Pam and Melanie. After Richard graduated from Kansas State University, earning a D.V.M. degree, they moved to Glenwood and began their veterinary practice, and he was the “Town Vet” for nearly 20 years. Ro Berta worked along side Richard as his office manager/assistant. Ro Berta’s hobbies and interests in Glenwood consisted of bowling, Eastern Star, pitch card club and her daughters’ school activities. “Doc” and Ro Berta were active in the Lions Club Road Show, and she was always a member of the dance line. They acquired a calliope and built a circus trailer for it. They would enter it in the homecoming parade each year for The Outcasts float, and Ro Berta would play it. In 1965 Richard and Ro Berta suffered a great loss when their oldest daughter Sharon (age 20) and only grandson Lohn (age 2) were killed in a car accident. After all daughters were out of college and married, in 1972 she and Richard retired and moved to Greenwood Village, CO. 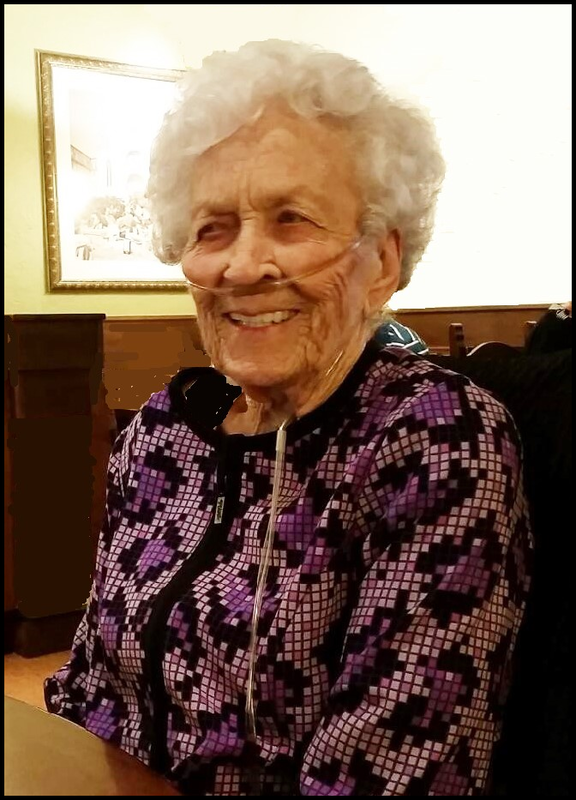 In Colorado her interests were golf, P.E.O., needlework and bridge (at one time belonging to eight different bridge clubs and three golf leagues). She and Richard also did stained-glass projects together. He cut and assembled the projects, and she created and drew the patterns and selected the colors. They were charter members of Hope United Methodist Church in Greenwood Village, and they designed and created the original 10-foot stained glass cross that hung in the sanctuary for many years. Ro Berta lost Richard in 1989 just short of 45th wedding anniversary. At the time, youngest daughter Melanie was living in Aurora, CO; she sold her home and moved in with Ro Berta. They did everything together for the past 28 years. Ro Berta was preceded in death by her parents, brother Jack, husband Richard, daughter Sharon Kruse Johansen, and grandson Lohn Kruse. She is survived by her daughters Pam (Ray “Z”) Ziebarth of Papillion, NE, and Melanie Troutman of Greenwood Village, CO; Troutman nieces and nephews on the east coast; Morrison cousins in the Denver area; her Ziebarth extended family members; her P.E.O sisters; and numerous friends–all whose lives she has influenced and touched. She will be sorely missed and cherished always. Interment Glenwood Cemetery, Glenwood, Iowa. Following interment, the family invites you for a luncheon at the First Congregational Church Fellowship Hall, 109 N. Walnut, Glenwood, Iowa.